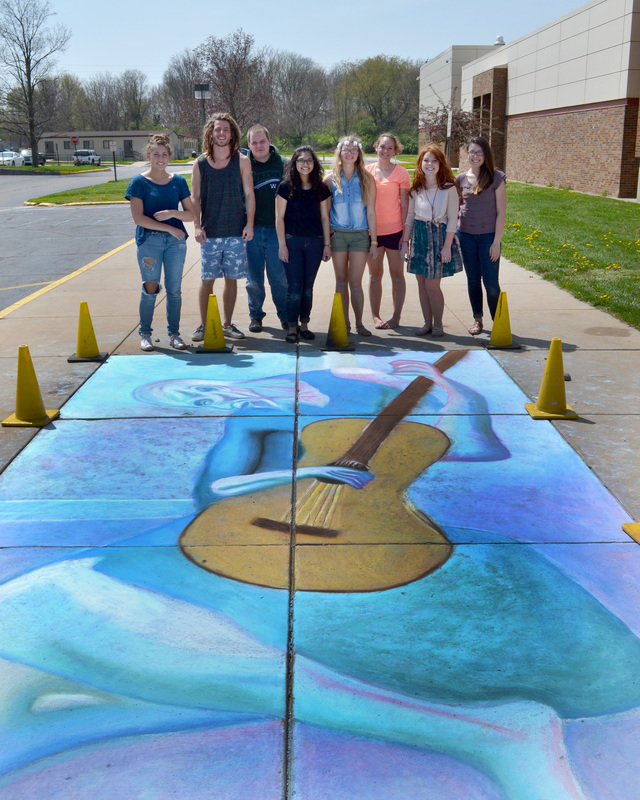 From left are art students Samantha DeLaFuente, Nate Cook, Adam Herendeen, Stephanie Camargo, Amber Mock, Ruby Minnick, Alyssa Torres and Kassidy Scholl. Not pictured are Deea Coy, Mary Schwartz, Ali Ousley and JJ Gilmore. As noted by Geoff Walmer, assistant principal of Wawasee High School, this was a good example of how beneficial a field trip can be for high school students. 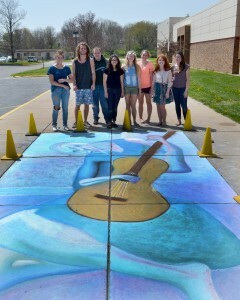 After doing research on sidewalk drawing/artwork, it was decided the project could be accomplished in front of the main entrance of the school. Students sketched the idea out and then filled in the colors and shaded the final image, approximately 8 feet by 16 feet in size. Unfortunately, heavy rains fairly quickly wiped out the drawing. Bill Eby, WHS art teacher, said the students found the project challenging and rewarding and came away with a better appreciation for the arts.